The fight for the top spot in the play-off for the Liga Endesa title is ongoing. FC Barcelona Lassa secured an important victory to help achieve this objective. Pesic’s team defeated Herbalife Gran Canária away from home to strengthen their position in third place with 18 victories and eight defeats. They did so with excellent performances in the third and fourth quarter in an intense game in which Koponen and Tomic secured 23 and 19 points respectively. They were both key elements who allowed Barça to take a nine-point advantage in the third quarter following the equal game before the break. 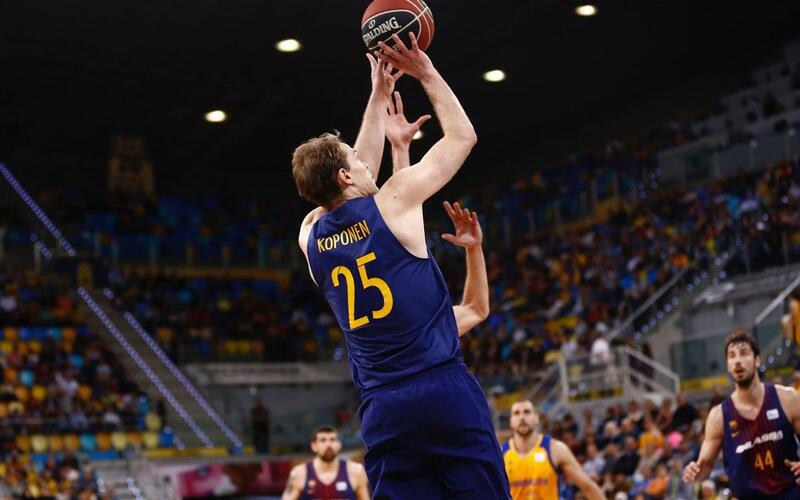 Koponen’s three pointers and Tomic’s five consecutive points put Barça 50-46 up in the 25th minute. The blaugranas continued to press home their advantage and they put the opposition under real pressure. Barça took a lead that they never relinquished despite Radisevic’s three pointers. In the end, the blaugranas won 93-77.